The Brechner Center for Freedom of Information at the University of Florida College of Journalism and Communications exists to advance understanding, appreciation and support for freedom of information in the state of Florida, the nation and the world. Through education and promotion of freedom of information laws and policies, the Center seeks to foster open government and a participatory democracy. In addition, The Brechner Center serves the public with information about the First Amendment, freedom of information, and access to government information issues. Since 1977, The Brechner Center has been a freedom of information resource in Florida and beyond. The Center for Public Interest Communications’ primary focus is building a curriculum, fostering public interest communication (PIC) research, helping to grow the nascent field, and working with for-profit and non-profit organizations on using effective storytelling, and insights from science from a range of disciplines, to advance their causes. The Center provides a variety of training to help scientists, scholars, foundations and other organizations build relationships and communicate the value of their work to funders, collaborators, policymakers, and members of the news media. For example, the Center is working with the United Nations High Commissioner on Refugees Innovation Service to explore how communication strategies can accelerate the spread of innovative approaches to providing care and protection to the more than 66 million refugees in the world. It is working with UF’s Institute of Food and Agricultural Services to help better communicate the challenges and threats of algae blooms in Okeechobee. It has worked with the U.S. State Department and Department of Defense on terrorism and human trafficking issues. The Center is self-sustaining with funds primarily from partnerships, training and consulting. For the past five years, the center has organized in Gainesville one of the largest gatherings of public interest communicators, activists and movement builders. It also publishes the Journal for Public Interest Communications, the only academic journal for this area of study. The First Amendment Project’s benefactor was Marion B. Brechner, who passed away in January 2011. Her son, Berl Brechner, maintains an active role with the College and the Project. The STEM Center helps to make findings from basic science useful for practical application to enhance human wellbeing in science areas. Properly translated and communicated to various audiences, complex science can inform decisions about any number of areas, including the environment, technology, engineering, health, and policy. The Center aims to make the public and communication and science/health investigators partners in research. Communication is vital to the STEM disciplines for translation and dissemination of consequential science and health knowledge to individuals and stakeholder groups. Communications research about these areas is necessary to generate understanding of how people come to know science and health and its associated benefits and risks and how people make informed decisions about science and technology areas that affect their health, security, and the environment. Partnerships formed among STEM and communication researchers will bridge academia, industry and the communities to disseminate consequential science and health knowledge to stakeholder groups. The messages, techniques and strategies resulting from these collaborations can foster improved science and health literacy, which in turn can yield enhanced engagement, support, prestige and visibility in areas UF and its stakeholders want to advance. 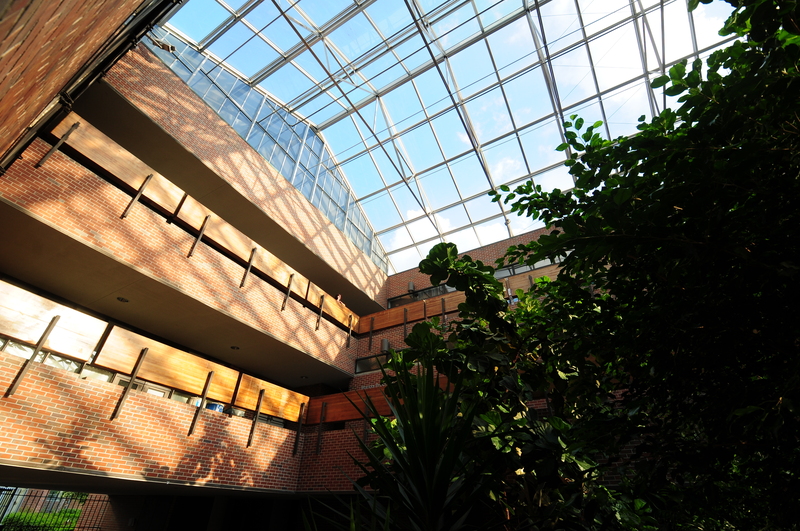 The STEM Center is housed within the College of Journalism and Communications with connections across the UF Health campus, including the CTSI and UF Health Cancer Center. The STEM Center fosters strategic communication partnerships across diverse disciplines at UF and internationally (Ireland, Australia, Bangladesh). The center offers trainings, consultations, and seminars to enhance research and methodological rigor across disciplines, and fosters community interest in the recruitment and translation of health communication research. The Institute for Public Relations™ is an independent nonprofit organization founded in 1956 and dedicated to the science beneath the art of public relations™. It exists to expand and document research-based knowledge in public relations, and to make this knowledge available and useful to practitioners, educators, researchers, and the clients they serve. Everything the Institute publishes is available free on its www.instituteforpr.org.